The positive effects of treadmill training on the performance of the horse are valued in all disciplines of equestrian sports. 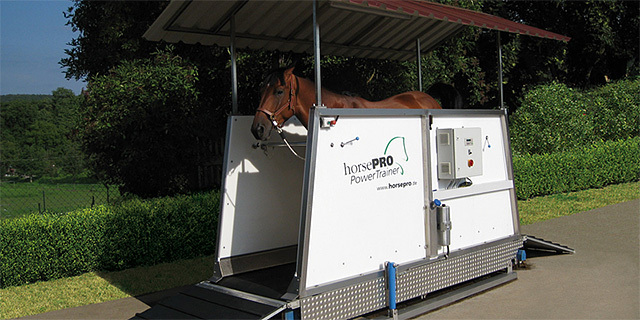 Through sophisticated technology provides the horsePRO-PowerTrainer a very useful support for the health, fitness and well-being of your horse represents. 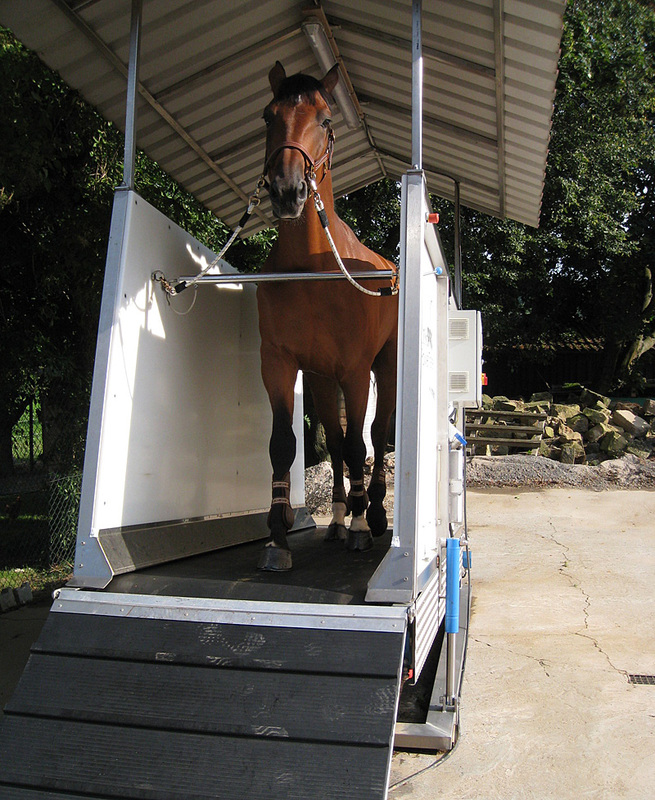 Three safety components and specially developed stainless steel frame provide maximum security for the horses. 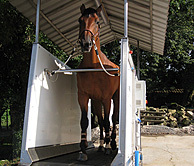 The horsePRO PowerTrainer includes a high quality, solid stainless steel frame. 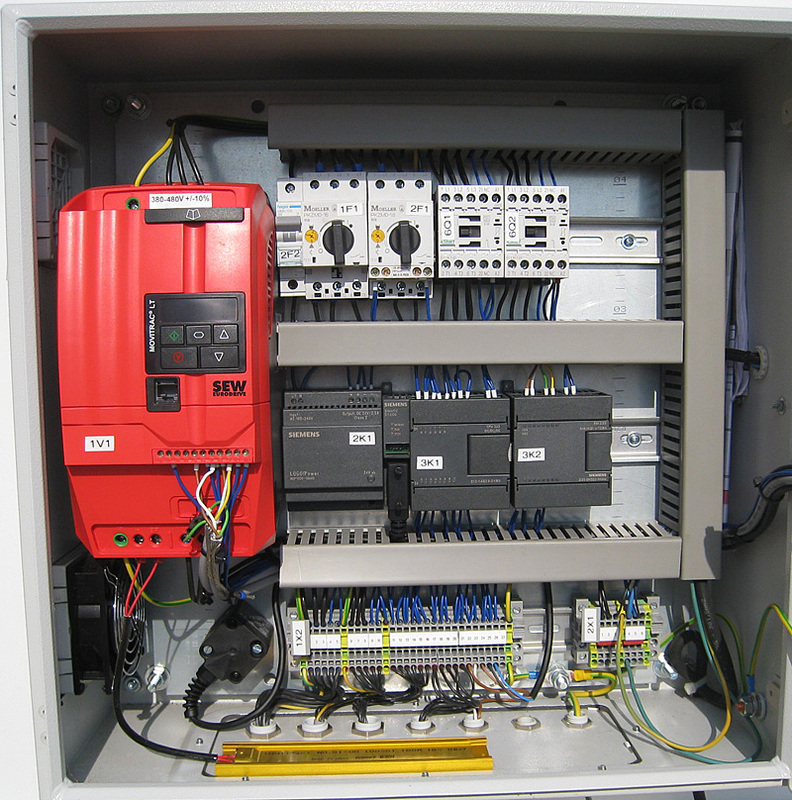 For the side walls a shatterproof and impact resistant as PE plastic is used. The horse moves on a special, abnutzarmen treadmill belt which allows optimum Auffußen the horse. 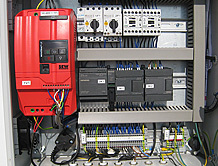 The drive of the treadmill is computer controlled. The peculiarity of horsePRO PowerTrainer the planar tread allowing a vibration-free and therefore also wear-training of horses. 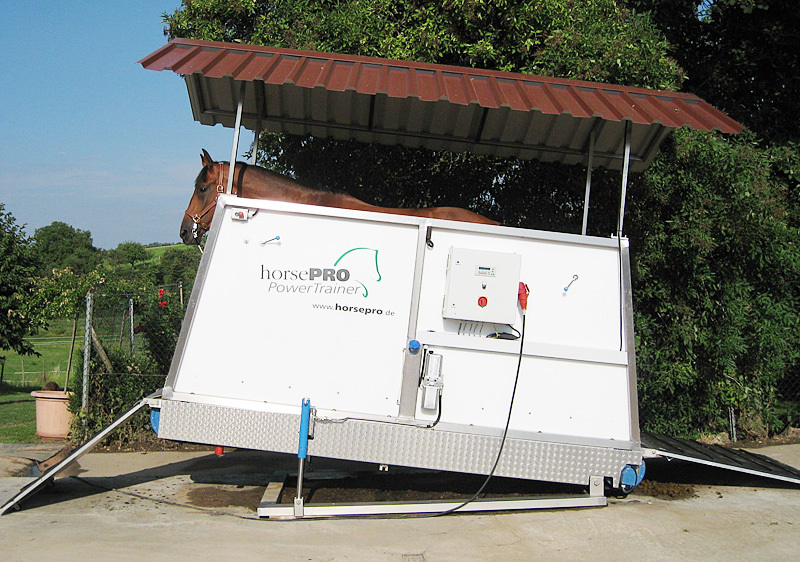 In the design and production of horsePRO PowerTrainer was waived the usual roll race. The positive effects of treadmill training on the performance of the horse are valued in all disciplines of equestrian sports. 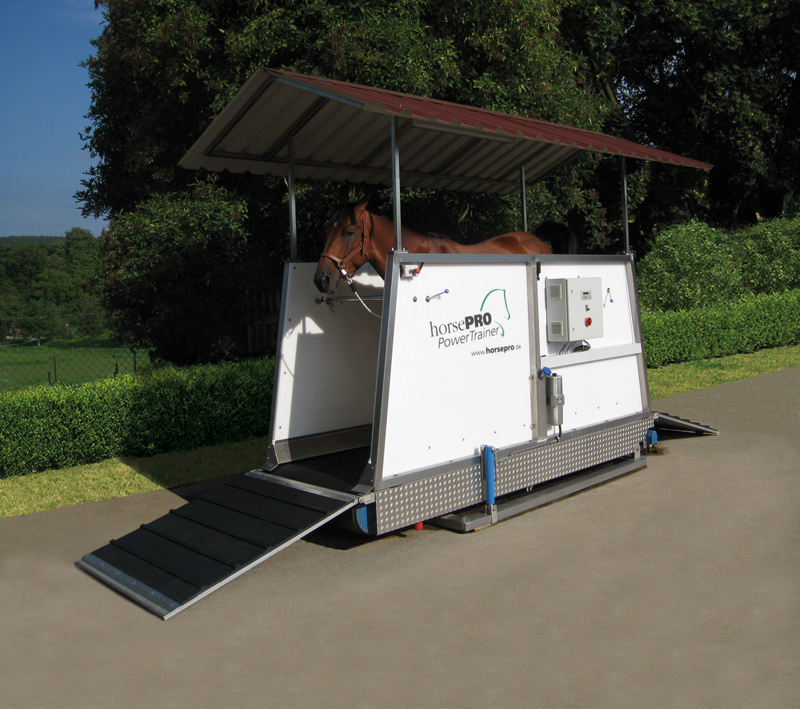 Due to mature technology provides the horsePRO PowerTrainer a very useful support for the health, fitness and well-being of your horse represents three Sicherheitskomponenten and the specially developed stainless steel frame provide maximum security for the horses.